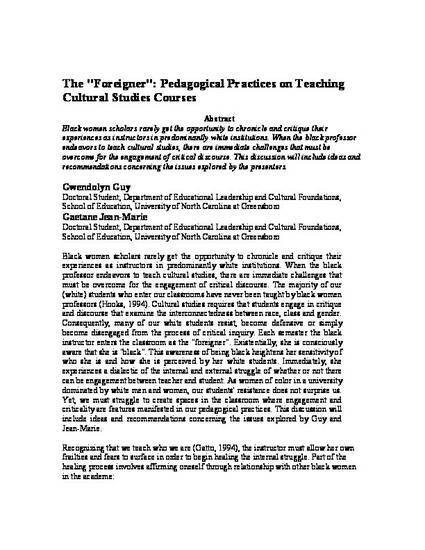 Black women scholars rarely get the opportunity to chronicle and critique their experiences as instructors in predominantly white institutions. When the black professor endeavors to teach cultural studies, there are immediate challenges that must be overcome for the engagement of critical discourse. This discussion will include ideas and recommendations concerning the issues explored by the presenters.